The MISSION & IMPACT of this unprecedented canine survey is to develop an accurate count of dog populations in the largest US cities experiencing roaming dog populations while developing a set of data collection tools built in a user-friendly template for municipalities and non profits to use the world over. The canine survey will help define the abundance & distribution of species, show trends in species population over time, and provide insight into relationships between animal populations and human activities within the region. The resulting data will be made available to government and non-governmental organizations, using it to conduct more accurate & cost effective activities that address REAL problems/needs. The WA2S canine survey intends to reveal the dynamics surrounding the population of free-roaming canines within the geographic boundaries of large US population centers. 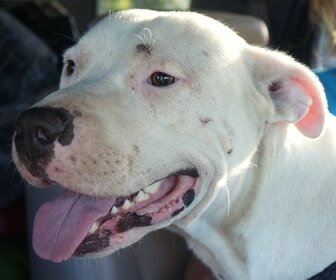 American Strays the series - become a witness to the problems Dogs face. The American Strays Project team is laying out the next 20 cities to be surveyed and a series of short films produced about their community. American Strays Canine Survey measures Dog population health. 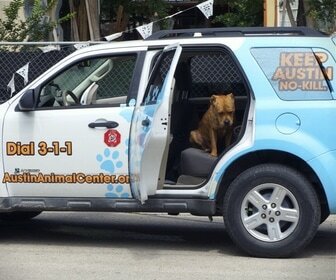 The American Strays Project team is actively looking for volunteers from the next 20 cities to be surveyed. Click to volunteer! 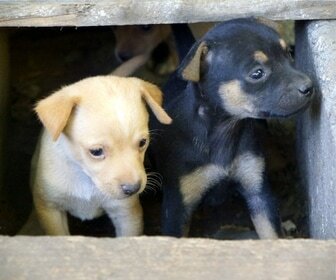 A suite of tools to use world-wide to humanely help stray Dogs. American Strays - A Tale of Animal Warfare, a feature documentary that breaks down the science and psychology behind stray dogs in the United States. Scaling up the canine Survey to encompass the majority of densely populated spaces annually. The AMERICAN STRAYS PROJECT will not only define the number of free-roaming (aka stray) dogs in each City, but also profile the organizations actively working with the stray dog population, create a directory of resources available to the community and assist in the plan to resolve any issues by providing detailed, visual rich data and analysis gathered from the entire City. Statistical analysis will include a variety of factors within the City, including owned/unowned dogs, cat colonies, tethered animals, City Demographics, freeway animals (live/deceased), abandoned housing, known animal cruelty data provided by the various local investigators, other relevant data from the community & shelter surveys and Department of Agriculture annual reports. In our analysis we will create models that can predict locations of need, as well as provide actual locations where we have documented concentrations of specific factors within the City. Upon conclusion of the AMERICAN STRAYS PROJECT, the WA2S will publish a peer-reviewed technical paper that includes the survey results, develop a television ready program & documentary, and produce video profiles of organizations & members of the community interviewed during this dynamic ground-breaking research. Develop survey methods to gain intelligence and understanding of the free-roaming (aka “stray”) canine population within the City of Detroit. Conduct a survey of the free-roaming canine population within the geographic boundaries of the City of Detroit. Document the dynamics of the City's human population and their interaction with canines. Detail the roles and activities of animal welfare organizations (and individual “animal rescuers”) as they interact with the human and non-human animals in the city (and each other). Develop standard survey methods for application in other cities, thereby generating an understanding of local free-roaming canine populations in many regions. Describe, quantitatively & qualitatively, the free-roaming canine population within the geographic boundaries of the City of Detroit. Publish results in peer-reviewed technical journals, and share related methods and results with the University community, Michigan Department of Agriculture, and other government and non-government organizations. Produce visual outreach; Such as short and feature length documentaries to share the knowledge gained with the public. Volunteer citizen scientists adhere to standardized survey protocol established by the WA2S that is similar to previously developed techniques for marine, terrestrial or avian population surveys. 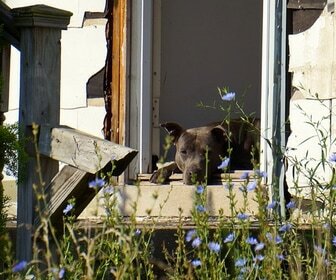 Citizen scientists will survey every street within the 143 square miles of Detroit for the initial "capture" via OSMTracker, photographs, notes, and video of any "free-roaming" dogs. During a second visual inspection of the community, "recapture" data will be collected. Using previously developed formulas for this data, combined with shelter data, and other community surveys the actual "free-roaming" populations are determined. Additional analysis will include City Demographics and shelter surveys to provide detailed descriptions of needs and solutions in various locations of the City.Dogs, cats, animal related signs, abandoned homes, weather, a variety of community elements and unique occurrences are documented. ALL dogs not confined to an owners' property are termed "free-roaming." A "free-roaming" dog is defined as a domestic dog that is not confined in any way; these dogs may be owned, but allowed to run freely, gotten loose or they may be strays. "Free-roaming" dogs are documented via photo & video when available. When possible, data is also recorded regarding location, ownership status, collar, tags, body/physical condition, altered, and anything unique. Dog ownership status is divided into three categories: (1) stray, (2) community, (3) owned. When defining an animal, more than one category may be used. (i.e. community owned or community stray -- see the following definitions for more details). Community - Community-stray dogs are sometimes fed by people in the community, but not fully owned by anyone. They are recognized by the community, but not necessarily cared for the whereabouts of the dog at all times. Community-owned dogs are dogs that are owned, but free-roaming. Owned - A person stakes claim over the dog. The dog stays with the owner most of the day, or the owner knows the whereabouts of the dog for most of the day/night. WA2S volunteers are conducting actual headcounts of "free-roaming" dogs, as well as connecting with the community to learn more about the existing conditions that may be contributing factors to the "free-roaming" population. Interviews and survey data will be documented with community residents & businesses, existing animal shelters & rescues, animal cruelty investigators, as well as City service workers such as the U.S. Postal Service to help the WA2S define the "stray" dog population and how it relates to the community within each City we visit. ALL dogs not confined to an owners' property are termed "free-roaming." A "free-roaming" dog is defined as a domestic dog that is not confined in any way; these dogs may be owned, but allowed to run freely, gotten loose, or they may be strays. 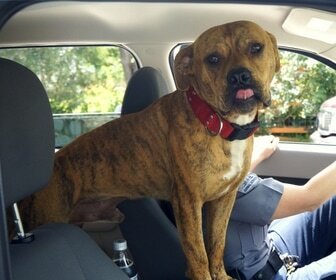 (3) Animal Control & Care - Pet Ownership in Detroit: Your Rights & Responsibilities. Revised Aug 2005. (4) Beck, Alan M. 1973. The Ecology of Stray Dogs: A Study of Free-Ranging Urban Animals. Purdue University. How many "free-roaming" Dogs live in your city? Would you be surprised to learn that, until now, NO organization has conducted a true survey of the "free-roaming" canine (aka stray) populations in any major city within the United States to accurately define this number for any given day? The American Strays Project is a true scientific survey combined with a film study. A team of volunteers are currently investigating the city of Detroit. The American Strays Project aims to define the number of stray dogs in each city, profile the organizations actively working with the stray dog population, and assist in the plan to resolve the situation by providing detailed, visual rich information gathered from the entire city. Upon conclusion of the American Strays Project in each city, the WA2S will publish survey results, develop a television ready program & documentary, and produce video profiles of organizations & members of the community interviewed during this dynamic quantitative film study. Volunteers will participate under the guidance of experts with the World Animal Awareness Society. 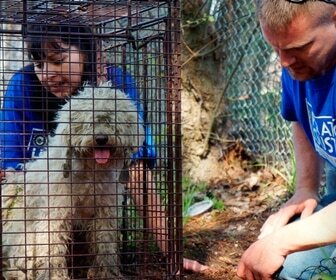 WA2S teams will collaborate with animal rescue groups already working with the dog population within the city. All volunteers will adhere to standardized protocol established by the WA2S that is similar to previously developed techniques for marine, terrestrial or avian population surveys. WA2S volunteers will not only conduct actual headcounts of "free-roaming" dogs, but also connect with the community to learn more about the existing conditions that may be contributing factors to the "free-roaming" population. Interviews and survey data will be documented with community residents & businesses, existing animal shelters & rescues, anti-cruelty investigators, as well as city service workers such as the U.S. Postal Service to help the WA2S define the "stray" dog population and how it relates to the community within each city we visit. The systematic documentation of the "stray" dog population will forever remove opinion and provide substantive data by which rational decisions may be made and funded. The first step in solving the problem is understanding the problem. The stray dog population has existed for quite some time in Detroit and other major cities in the US and the perception, due to economic issues and flight, suggest that it is getting worse. "The American Strays Canine Survey conducted by the World Animal Awareness Society has provided valuable and reality based information that will assist the Michigan Humane Society (MHS) and other key stakeholders within the city of Detroit. The challenges regarding homeless and stray animals within Detroit are significant and it is imperative that we collectively and efficiently maximize our finite resources to better the lives of animals within the city. This project has been a key step forward in advancing our understanding relative to the scope and magnitude of the animal issues in Detroit and it will enable MHS to further improve our life-saving programs. Tom McPhee is truly a talented filmmaker and visionary - using his talent and skill to make a better life for animals in our communities." Earlier this year the World Animal Awareness Society began a landmark “stray” (aka free-roaming) canine survey & film study: the American Strays Project. 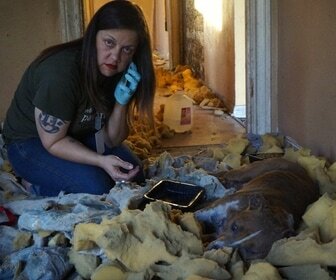 This project provides a video survey of the stray dog issues and needs in the US. The first population center the WA2S members, directors, citizen-scientists & video-journalists will encompass is the City of Detroit, Michigan. The output from this project will provide data driven information that will better enable all individuals and organizations who are working hard to make a difference within the city on behalf of the animals and its citizens. The World Animal Awareness Society has set a baseline goal for funds required to complete the American Strays: Detroit Research at $125K. The Michigan Humane Society, along with a second anonymous granting organization have helped WA2S get to the half-way point with our financial needs on this important community program. Additional funds or grants are still needed. 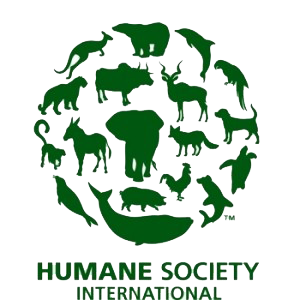 The Michigan Humane Society is Michigan's oldest & largest animal welfare organization and one of the largest animal welfare organizations in the country based on the number of animals cared for and the scope of programs and services. 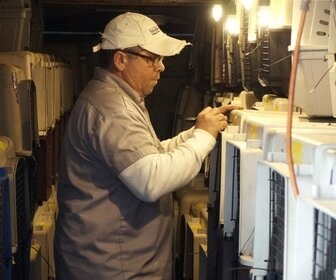 MHS is a private, nonprofit organization which cares for over 100,000 animals each year out of 3 centers for animal care: Detroit, Rochester Hills and Westland. 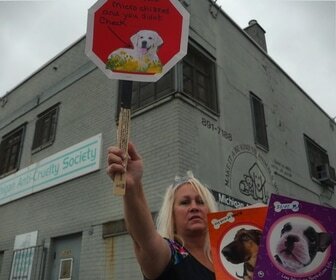 The Michigan Humane Society also investigates more than 5,000 animal cruelty complaints each year in Detroit, Hamtramck and Highland Park. The mission of MHS is to end companion animal homelessness, provide the highest quality service and compassion to the animals entrusted to our care, and to be a leader in promoting humane values. The American Strays Project is a canine survey combined with a scientific film study. The first step in solving a problem is understanding the problem. The American Strays Project is the systematic documentation of the "free-roaming" (aka stray) dog population to assist in forever removing opinion and provide substantive data by which rational decisions may be made and funded. The American Strays Project aims to define the number of stray dogs in each City, profile the organizations actively working with the stray dog population, and assist in the plan to resolve the situation by providing detailed, visual rich information gathered from the entire City. Executive Director Tom McPhee is serving as Director, documentaries. WA2S volunteers are conducting actual headcounts of "free-roaming" dogs, as well as connecting with the community to learn more about the existing conditions that may be contributing factors to the "free-roaming" population. Interviews and survey data will be documented with community residents & businesses, existing animal shelters & rescues, animal cruelty investigators, as well as City service workers such as the U.S. Postal Service to help the WA2S define the "stray" dog population and how it relates to the community within each City we visit. A team of volunteer citizen scientists are currently compiling data within the City of Detroit. The World Animal Awareness Society - WA2S.org specializes in filming contemporary events at the human-animal intersection. Headline stories such as the proliferation of puppy mills including raids by national and local animal rescues; Dolphin, Shark and Whale wars; animal hoarding; and animals affected by man-made disasters are filmed. Recent expeditions produced stories of animal rescue and relief efforts in earthquake ravaged Haiti, dozens of stories focused on the catastrophe in the Gulf of Mexico and the effect on wildlife as part of the ALL EYES ON THE GULF Expedition, most recently an excursion to earthquake and tsunami ravaged northeastern Japan to put a lens on animal/human rescue and relief efforts & the American Strays Project - an unprecedented dog survey & film study.